After last weekâ€™s decision to shut down the mobile networks by the San Franciscoâ€™s Bay Area Rapid Transit System â€” BART, in short â€” in a bit to disrupt a planned protest, hacktivist group Anonymous made good on its promise to cause its own disruption. The hacktivist collective hacked the mybart.org website shortly after midday on Sunday, targeting it with a distributed denial of service (DDoS) attack â€” with a twist. As CNET reports, though the site was running slower than usual, one notable change was clear. 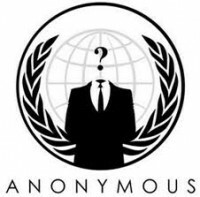 The site had been defaced with the ominous symbol of Anonymous: the Guy Fawkes mask. The bart.gov website, the BART systemâ€™s main portal, remains online and unaffected, however. Along with this, the mybart.org website had also been hacked into, and a vast database of user emails, addresses and phone numbers of website users has been leaked onto code-sharing website, Pastebin. Other websites, including the California Office of Traffic Safetyâ€™s â€˜California Avoidâ€™ site has also been defaced. BART, in a statement, warned of potential disruption to its online services â€” responding directly to Anonymousâ€™ threats â€” noting that the website is â€œwholly separate from any computer networkâ€ from the transport infrastructure itself. Last week, a protest was planned as a result of the shooting of a man on the subway by BART police. The subway network took to shutting down cell and wireless networks to stations in a bid to block the communications of protesters. An Anonymous press release, issued this weekend, also pointed towards a â€œmassive Black Fax and Email Bombâ€ in a bid to cause disruption to BARTâ€™s communications systems; the same disruption seemingly caused to members of the transit system during the protest. Warning of further attacks, a message on Twitter by an Anonymous account said: â€œWeâ€™re not done yet folksâ€¦ weâ€™re just getting warmed upâ€.